Known for manufacturing, supplying and exporting the best quality of IR Accessories, Technosearch Instruments was established in the year 1995. The product range offered by us consists of Spray Dryers, Solid Sampling Equipment and Polymer Film Making Equipment. Owing to their high performance, longer serving life, better energy efficiency, compact design and minimal maintenance, these analytical instruments are highly demanded in the market. Rendered by us at industry leading prices, the offered analytical instruments are highly appreciated among our customers. With the aid of our large production capacity, our customers can avail the offered analytical instruments in bulk quantities. Since the inception of our company, we have established a state-of-the-art infrastructural and appointed a team of skilled professionals. By using advanced tools and equipment, we manufacture the offered analytical instruments as per the industry laid norms. Our professionals work in close coordination with each other, to ensure a trouble-free workplace. 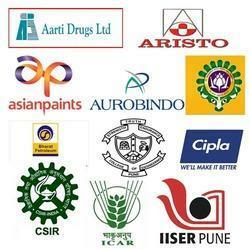 Boasting by the hassle-free working environment, we work to attain maximum customer approval. By providing our professionals with regular training sessions, we enhance and polish their skills in the most efficient manner. Our clientele spans across the countries of the Indian subcontinent, Africa, Far East and Asia. Mr. Sachin Salvi is proprietor and he has helped us in attaining a praiseworthy name of this domain. He has helped us in attaining a clientele across the nation, owing to his excellent management skills and innovative business polices. Our team comprises highly qualified and diligent professionals, who are well-versed in their respective fields of work. These personnel are recruited from the best academic institutions in the country. Moreover, they have extensive experience in the domain to their credit. The management has segregated the team into many departments. The segregation takes place as per the individual member’s area of expertise where our professionals work with great zeal in order to cater to the customers in a prompt manner. Over the last decade, we have continued to expand our clientele at a faster pace. This is the direct result of our high quality products that are highly sought after in the present day market. Our perseverance has helped us overtake the standards set by our market competitors.